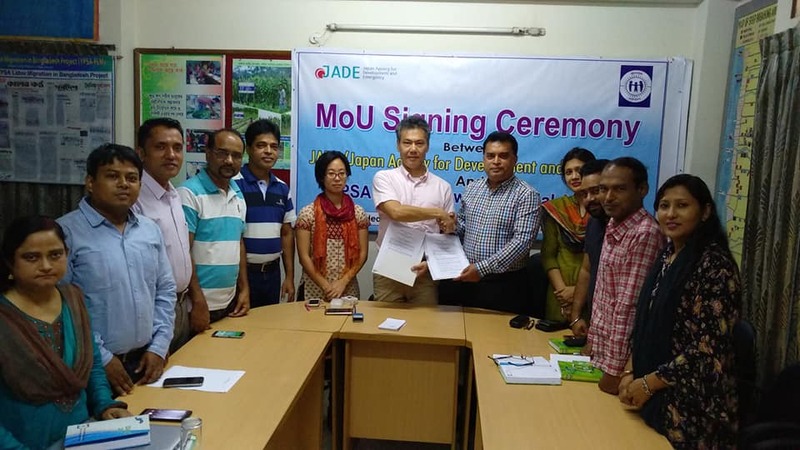 An organisational Memorandum of Understanding (MOU) is singed between Japan Agency for Development and Emergency (JADE) and YPSA, in order to cooperate the implementation of different need based development projects. The MOU was signed at YPSA head office on 19th November Monday 2018 by Mr. Hiroto Tanaka, Chief Director of JADE and Mr. Md. Arifur Rahman, Chief Executive of YPSA.